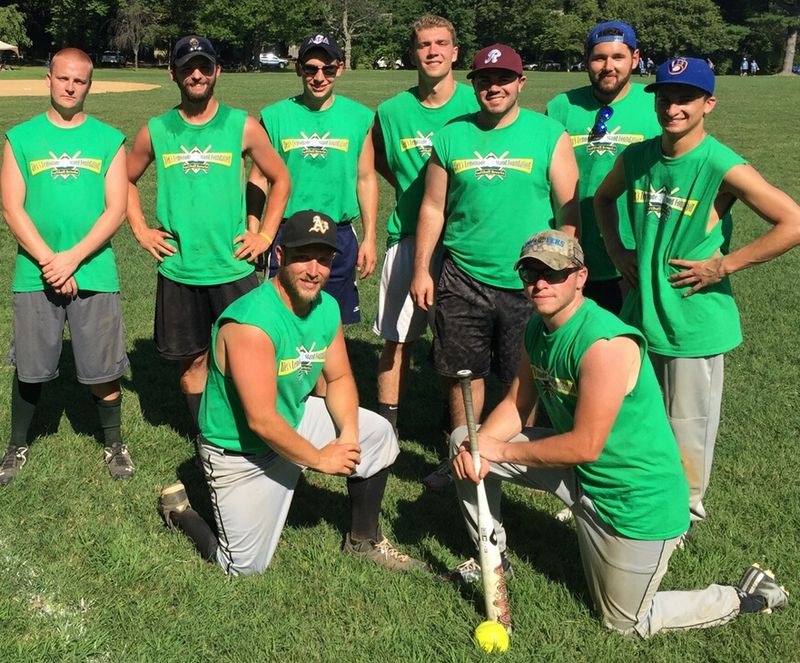 On Saturday, August 20, 2016, members of the Gamma Mu Alumni Association, Gamma Mu undergraduates, and friends, participated in the Alex's Lemonade Stand Foundation Annual Softball Tournament at South Ardmore Park in Wynnewood, Pennsylvania. This is a community service foundation dedicated to finding a cure for childhood cancer. 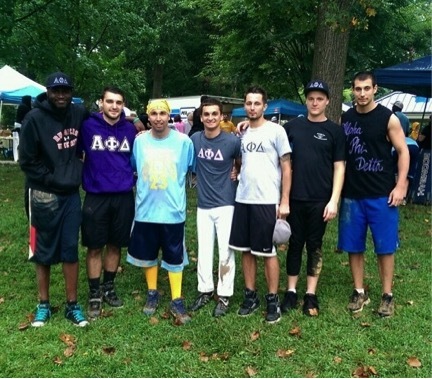 The brothers played, raised money and donated money. All involved had a great time while helping to raise $30,000 for Childhood cancer research. 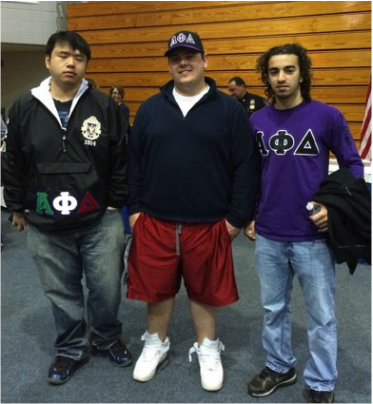 On April 11, 2015, the brothers of Delta Upsilon Chapter walked in the Relay for Life to show their support on campus for cancer research. 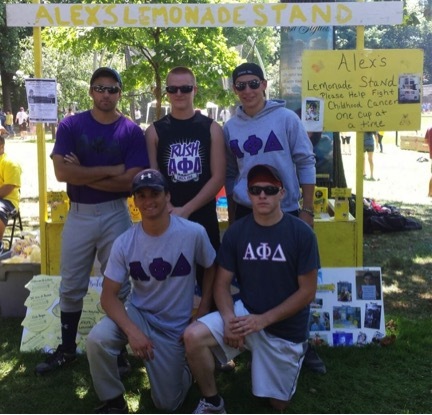 The brothers and pledges of the chapter donated some 24 hours of service to this event. 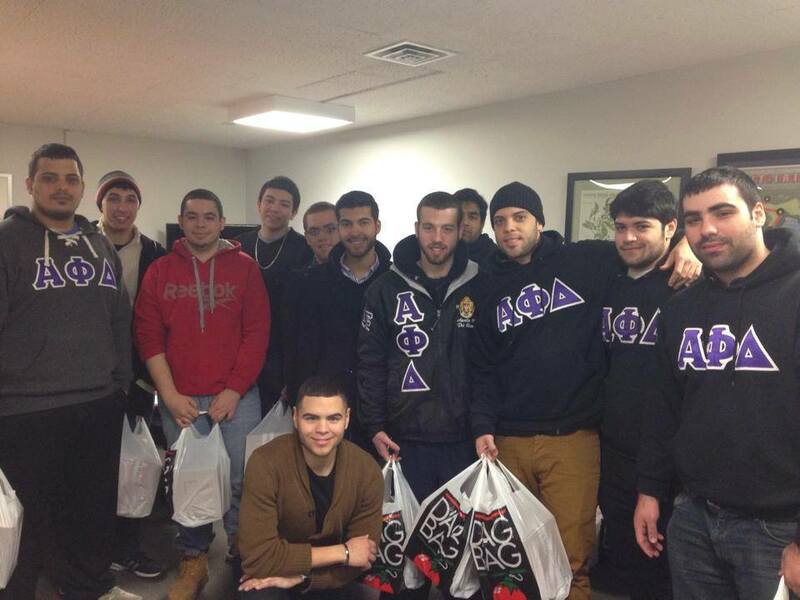 Some Beta Iota Brothers after a service event at the College. 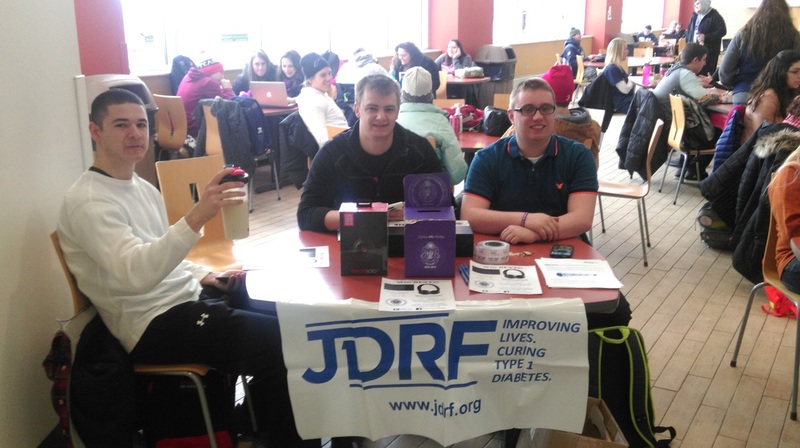 Our Beta Iota Chapter (Utica College of Syracuse University), in a spirit of service, did many charitable and philanthropic events this year. St Baldrick's Breast Cancer Walk. All of these events, with the details about them were were reported to the fraternity in the chapter annual report to Central Office.